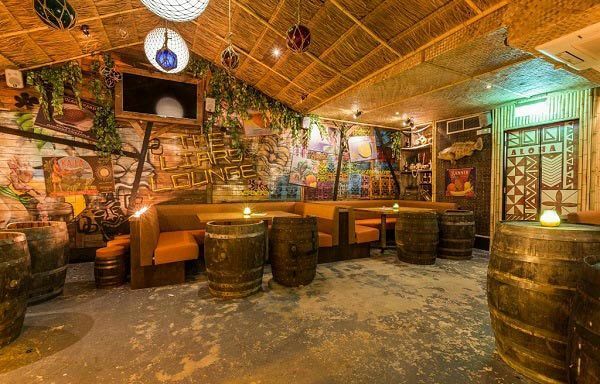 Ditch tradition this year in Manchester and hold your company celebration at this brilliant venue where you’ll be able to enjoy an exclusive evening in a fantastic tiki themed room! This event space is vibrant and exciting and will offer guests a fun place to experience an unforgettable night. 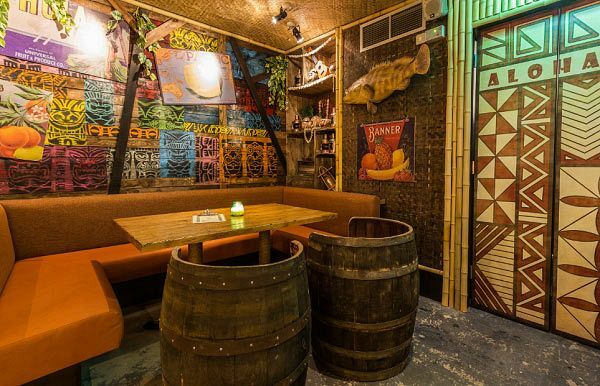 Resembling the inside of a tiki hut, guests will be able to unwind in comfortable booth style seating and will have access to their very own private bar for the evening. Striking and colourful designs adorn the walls, whilst bright candles are on each table to create a chilled and laid back atmosphere. 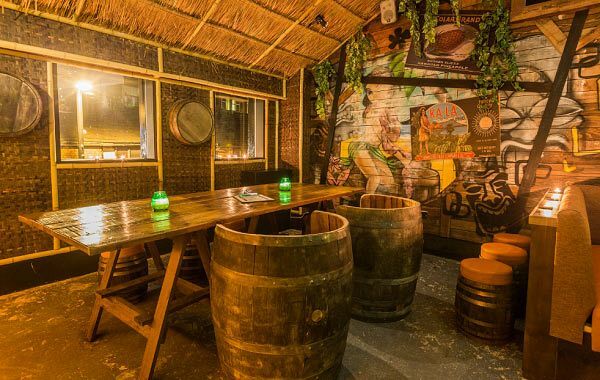 At the bar, you’ll be able to discover a brilliant array of tropical inspired cocktails which include the likes of the Mai Tai, Pina Colada, Avocolada and many more, so make sure you treat yourself to a cocktail or two on arrival to start your night right. If you’d like to include food with your package, then there are a variety of festive buffet choices available with options to suit everyone, including vegetarians. There’s also space and facilities to accommodate a DJ so you can treat your guests to live music all night long! An HD projector screen is also included with hire of this venue. 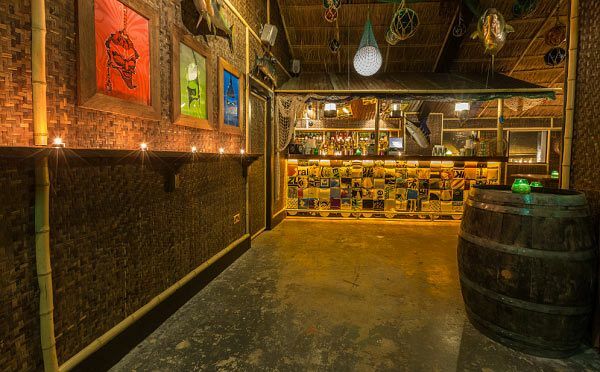 This tropical event space is the perfect way to celebrate the Christmas party season, so step on in from the cold and into this warming tropical paradise where you’ll feel a million miles from the bright lights and roaring traffic of the city!